Today is an exciting day for the Global Fishing Watch Research program. 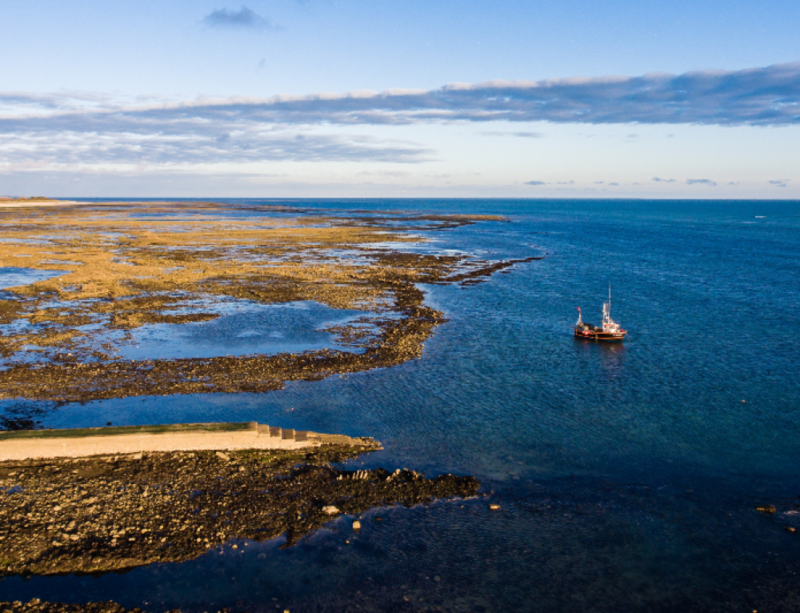 Working with six partner institutions, we have published the first ever global analysis of fishing effort using Automated Identification System (AIS) data. 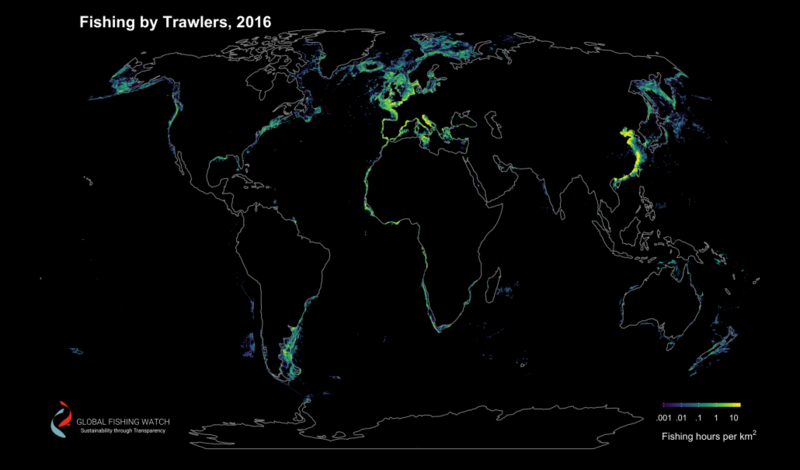 Our paper, “Tracking the global footprint of fisheries,” is in the February 23rd edition of Science. Along with the publication of this paper, we have made our data on the vessel identity and fishing effort freely available, and you can access the data on our community page. For example code for how to use the data, and for more in depth discussions of caveats and details, visit our research and development site, globalfishingwatch.io. We also have set up a GitHub repo with selected analyses and code from the paper. The paper makes some exciting findings: Fishing covers at least 55 percent of the ocean, and fishing, at a global scale, is remarkably unresponsive to changes in gas prices, seasons, and short-term climatic changes. A summary of the key findings is in the executive summary in the press packet for this paper. 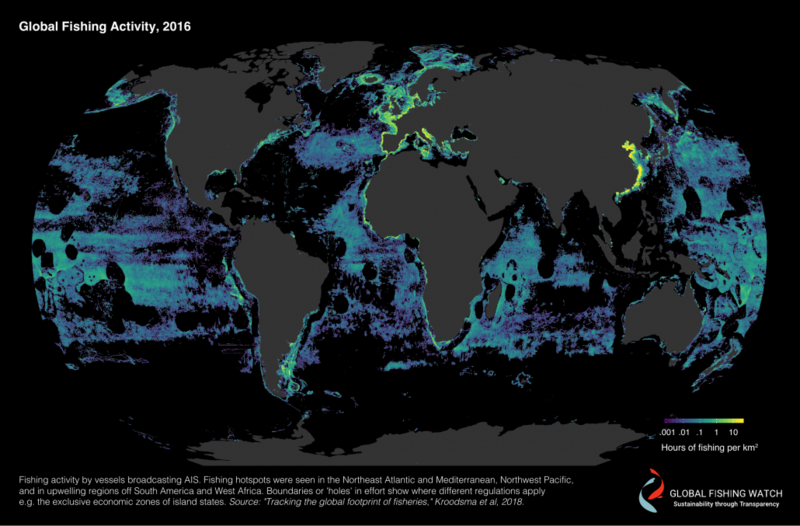 The backbone of the paper, though, is this new, global, dataset of fishing effort that we created, using Global Fishing Watch’s core technology. Below are the basics of how we developed this dataset. Large, oceangoing vessels broadcast their locations via the Automatic Identification System (AIS). We collected a global database of over 300,000 unique vessels in a given year, of which more than 60,000 are likely fishing vessels. Unfortunately, although the vessels do broadcast identity information, they don’t always accurately report what type of vessel they are. We cross-referenced this vessel identification information, including vessel names, callsigns, and IMO numbers, with vessel registries and were able to identify tens of thousands of these vessels. We classified these “known” vessels into a number of different types, including non-fishing vessels such as tankers, sail boats, and tugboats, and fishing vessels such as trawlers, longliners, and purse seiners. Then we used the movements of these different vessels to train a model to identify a vessel’s type based on its movements. A purse seiner moves very differently than a tugboat, and hence, a model can tell the difference. In this way, we were able to estimate the identity of the remaining few hundred thousand vessels. We identified 70,000 likely fishing vessels that were active between 2012 and 2016 (although only about 60,000 were active in any given year), and we were able to identify the gear types of these vessels. The model we used was a convolutional neural network, and it is similar to the algorithms used in modern image recognition software. The code for this model is also freely available on this GitHub repo. Once we identified fishing vessels, we wanted to pinpoint when these vessels were actively fishing. 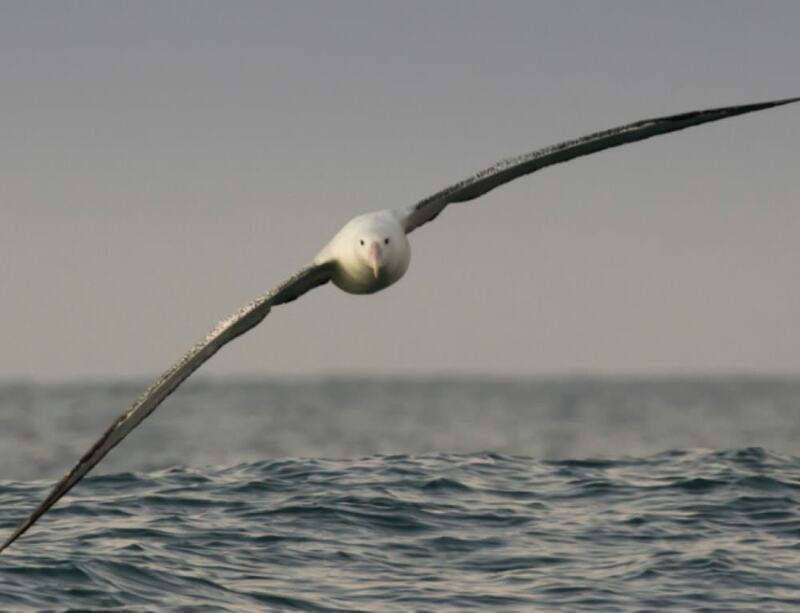 To accomplish this goal, we took the movements of a few hundred fishing vessels and we labeled each point as “fishing” or “not-fishing” based on the judgement of fisheries experts (using a method pioneered by one of our research partners at Dalhousie). We then trained a similar neural network model to analyze the movements of vessels and determine when the vessels were fishing. The result of these two models are global maps of fishing effort unlike anything we’ve seen before. 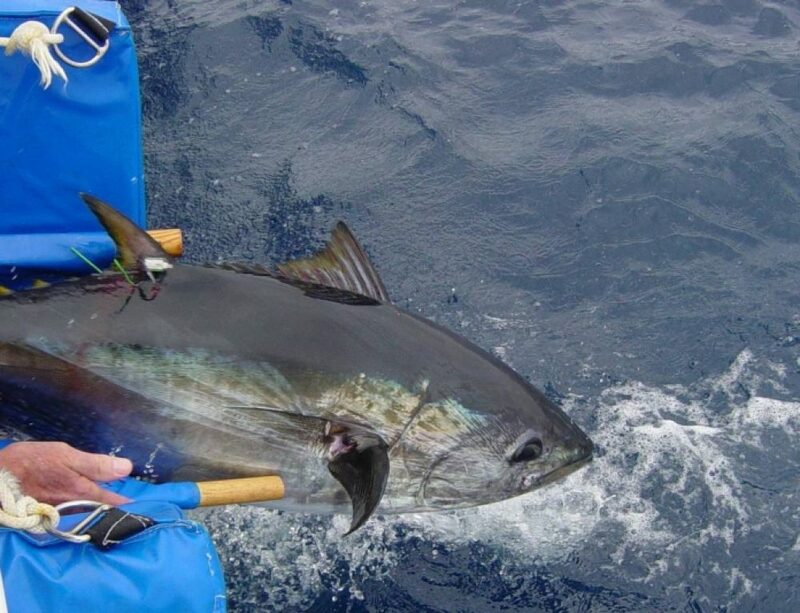 We can map fishing effort by hour and kilometer, and by type of fishing vessel. These models aren’t perfect – the classifiers get some boats wrong, and don’t get every fishing point exactly correct. We can only track vessels that cary AIS, although these tend to be the largest of fishing vessels. 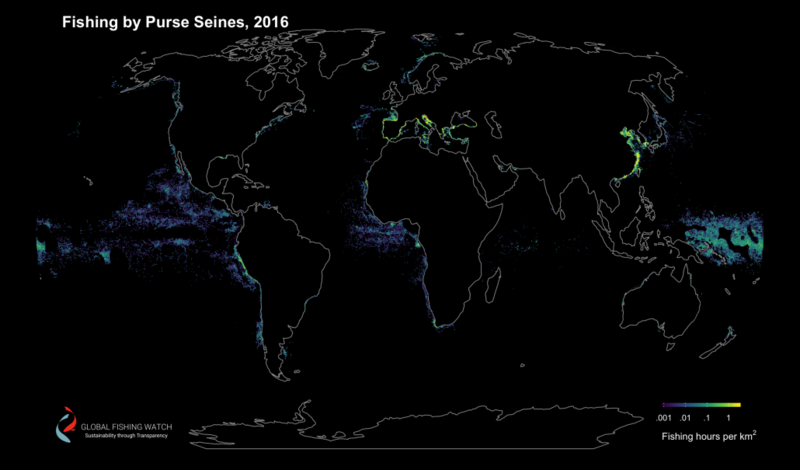 As a result, our dataset is very good at tracking fishing in the high seas, where most of the vessels are more than 100 feet long, but it is imperfect at tracking fishing close to shore, especially in developing countries with lower AIS adoption. We have dug deeply into all of these caveats, and you can read about them in the 30 plus page supplemental materials of our paper, or in a series of posts coming soon. 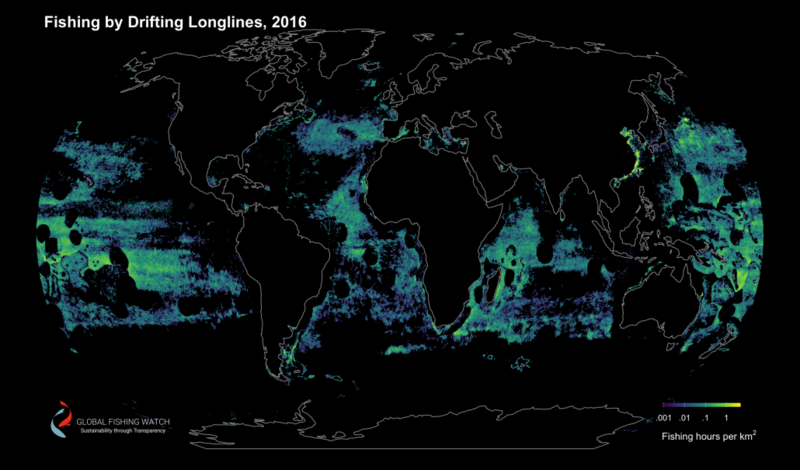 We see this is a huge advance in the ability to monitor fishing in the world’s oceans. You can download this new dataset here.